The last few weeks have sent me out of town for various reasons, and I’ve spent a good bit of time exploring the food scenes of several other excellent food cities. But it’s always wonderful to return home, back to the growing culinary scene that honestly excites me daily. 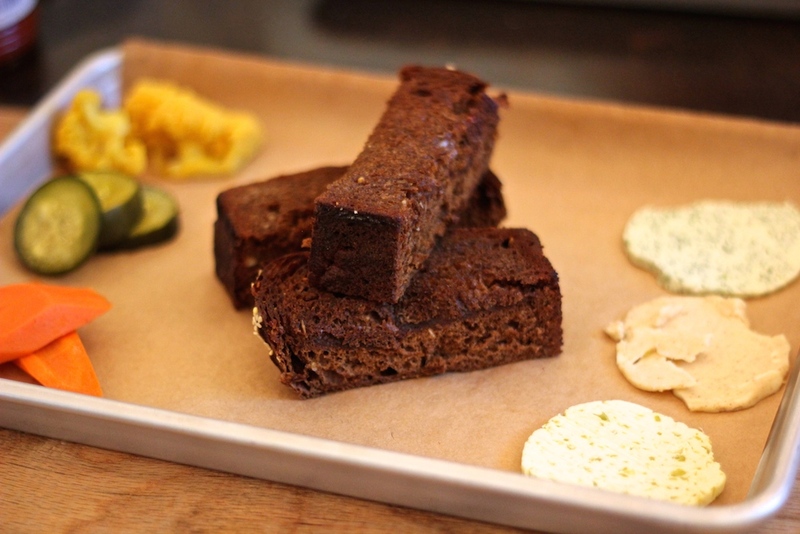 In truth, Little Rock is still a small player in the national food movement…but that certainly doesn’t mean we aren’t producing some dishes that rival anything else in the country. It’s become pretty clear to me, especially with some of the more recent openings in Little Rock, that any visitor stopping by Little Rock for a bit will be treated to some top notch cooking from several restaurants that can hold their own on a national level. Here’s where and what I’ve been chowing down on lately…the latest edition of our Rock City Review. I think it’s safe to say that when considering the early front-runners for “best new restaurant of 2015,” Boulevard Bistro & Bar would definitely need to be on that list. In fact it is probably at the top of that list. Most diners probably expected that when one the cities finest bakeries decided to convert to a full service restaurant, the results would be impressive. But Boulevard has certainly exceeded my expectations. Every visit I’ve made there leaves me wanting to come back as soon as possible in order to sample more dishes from the menu. Their version of “pappardelle bolognese” is not to be missed—a generous serving of perfectly cooked ribbons of pasta with ground pork and beef, carrots, tomatoes, cream, garlic, and pecorino cheese. And once the word gets out, burger lovers will be flocking to the restaurant to get a sample of their impressive “Boulevard Bistro Burger.” It’s big, thick, and juicy, simply dressed with a standard array of condiments…but it’s just done right. I’d recommend topping it their excellent melted pimento cheese. When paired with their fabulous frites, it’s a plate that is second to none in Little Rock. At this point, I’ve believe I’ve officially eaten every regular menu item at Lost Forty…and it’s definitely been a pleasure to work my way through that list of dishes. One of my favorite lunches in the city right now would have to be the duo of their “Grilled Bread + Butter Spreads” and “Petit Jean Bacon Cheese Dip.” Something about that dark, slightly sweet spent grain bread is always so comforting and satisfying, but it’s that honey butter that steals the show, really. And while the yellow corn chips served with the cheese dip are really nothing to get worked up about (especially compared to the fantastic housemade chips they serve over at Local Lime), the smokey, gooey skillet of cheese and bacon is one addicting dish. Both their kielbasa and bratwurst continue to impress, too. The brat brings a snappy outer casing with creamy, soft inside—a wonderful flavor and texture combination that I haven’t experienced anywhere else in Little Rock. I’ll probably pass on the brisket in the future, though. On a couple occasions I’ve found it a bit too dry, without that wonderful fatty, fall-apart texture I’d expect with an exceptional brisket. Still, Lost Forty continues to be packed with patrons every night…and with food this good, it’s no wonder why. No one in their right mind would disagree that The Root does one of the finest breakfasts in the city. But a recent visit one fine Saturday morning reminded me just how splendid it can be to spend an hour of so there, eating and enjoying the spring weather from one of their tables in the garden. I’m still of the belief that there’s not a better plate of biscuits and gravy in existence, and it’s usually my go-to breakfast here. But I’m equally impressed with their excellent sausage, egg, and cheese biscuit sandwich. They pair it with a lovely house made muscadine jelly, which you’ll want to spread over every bit of that biscuit. 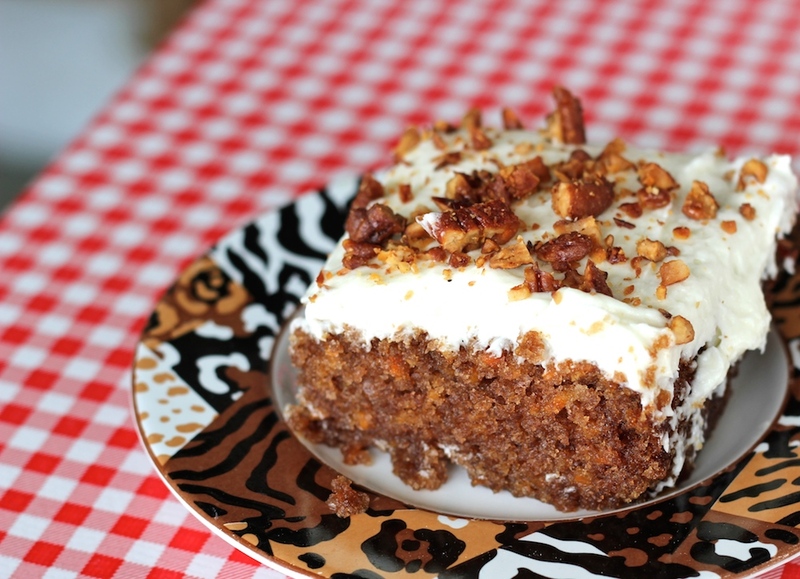 They’re also doing a new carrot cake with candied pecans. It may not be socially acceptable (yet) to eat cake for breakfast…but I did…and I have absolutely no regrets. A recent visit to Kemuri was met with mixed results. One of the highlights of the night was their sensational baby back ribs dressed in a sweet, slightly tangy ponzu BBQ sauce. The texture of the ribs was darn near perfect. They fall off the bone and into your mouth with the gentlest tug. The beef tenderloin with tempura onion rings and purple potatoes was another crowd pleaser. Unfortunately, I was less impressed with my bowl of panang curry. It’s the second time I’ve had the dish, and I’ve enjoyed it in the past, but this recent visit found my dish to be less creamy and flavorful than past iterations. And the yellowtail appetizer I’ve been so excited about on prior visits, left me a bit disappointed this go-round. Perhaps the fish was nearing the end of freshness, but I know it’s been a bit tastier on previous visits. I’m still very much a fan of their sushi rolls, though…and our “Crazy Lover” with tempura shrimp, spicy crab, and avocado was nothing but top-notch. I finally made it to the much beloved Baseline Road taqueria, La Regional. It was generally a good experience. I enjoyed my al pastor burrito. It came stuffed full of the basic burrito components—meat, lettuce, tomato, refried beans, rice, cheese, and sour cream. But I wasn’t as enamored with their tamales. The chicken tamale was a bit dry for me, the filling a little flavorless. The pork tamale was a spicier, more satisfying mouthful, but overall, it would be hard to pry me away from some of my other more beloved taqueria around town to make a return trip to La Regional. 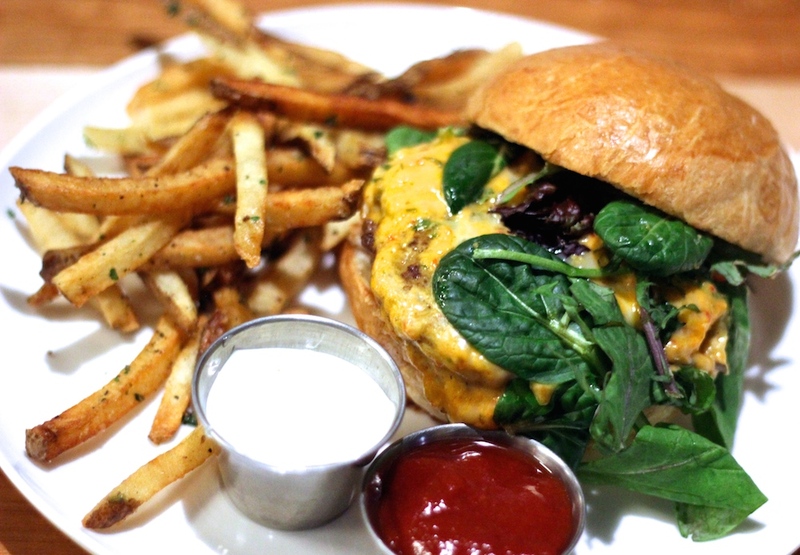 Lastly, South on Main is serving up one seriously great chicken sandwich. 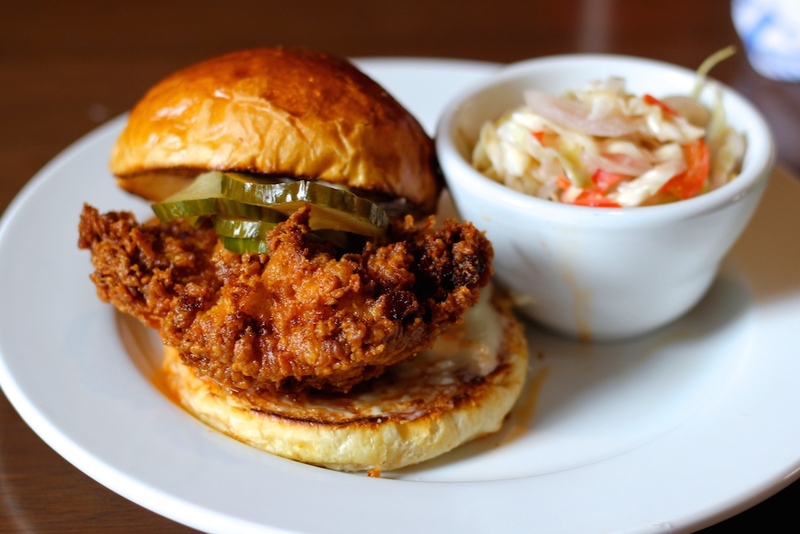 The “hot chicken sandwich” found on their lunch menu was inspired by a version of fried chicken made popular by certain Nashville restaurants. But having eaten my way through Nashville recently, I can say with confidence that Matt Bell’s chicken is better than anything I ate in Tennessee. Score one for Arkansas.